Sensors are a type of transducer that can convert, measure, and change information into electrical signals for analysis, monitoring, etc, and can be used to measure the temperature, pressure, etc. of physical variables, such as pH value, gas chemical concentration, glucose concentration, etc., of biochemical variables. Sensors, particularly wireless sensor networks, are the foundation of the modern Internet of Things (IoT), artificial intelligence, robotics, smart manufacturing, smart buildings, etc, but most of them require electricity to operate and additional electronics for wireless transmission of sensing information and have no identity by themselves. Batteries are commonly used to power wireless sensors, but it requires frequency replacement, which is not a cost-effective or viable/practical method for remote areas or sensors in harsh environments. Nanogenerator technologies have been explored to power wireless sensors locally by utilizing piezoelectric, pyroelectric, electromagnetic, and triboelectric effects that harvest energy from the ambient environment. However, the existing nanogenerators typically require rectification diodes and energy storage units to store the electricity and to regulate the voltage to power the wireless sensor chip. As a result, nanogenerators have very low power conversion/utilization efficiency. On the other hand, current wireless communication chips require high power to operate, in the order of several milli-watts though in a short period of time, which the nanogenerators are normally unable to meet. To fulfill the power demand for the wireless sensor chip(s), the nanogenerator embedded in the system needs to work for a relatively long period of time before the wireless transmission process takes place, which results in severe information loss or only a tiny proportion of sensing information that can be sent out for analysis. This becomes even more severe when the nanogenerator performs sensing tasks simultaneously. Although the sensor ID issue can be solved by integrating radio frequency ID (RFID) on the chip or using a special device, such as surface acoustic wave sensor which has ID capability, the ID information can only be obtained through passive triggering. A new type of instantaneous, self-powered, self-identified wireless sensors have been developed jointly by a group of scientists from China and Britain, by utilizing triboelectric effect/device and resonant circuit integration. The sensor device produces power, wireless sensing, and identity information when it is pressed (triggered) by an external force and then transmits the signal wirelessly. The sensor device has instantaneous energy harvesting, sensing, identity generation and wireless signal transmission four functions simultaneously. 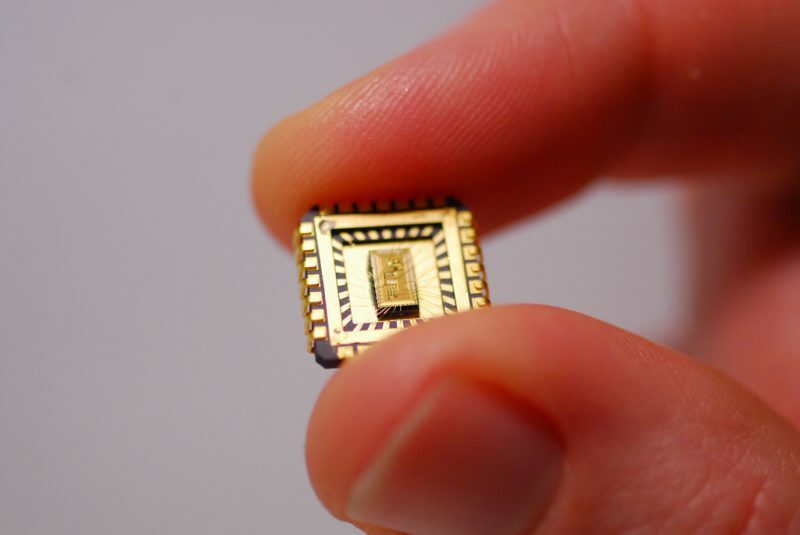 The sensor is a standalone device with no need for energy supply, yet it responds to every trigger without losing any sensing information and does not need a rectification circuit, energy storage units, microprocessor, wireless communication, etc; it is totally different from the existing self-powered sensors, or passive RFIDs and surface acoustic wave sensors. It is a true self-powered wireless sensor with identity. As TENGs are sensitive to force (pressure, stress), vibration, impact, displacement, shape change, humidity, temperature, chemicals of environment, etc, they can be made to be the sensors for the corresponding variable measurements, therefore, potential applications of these type of novel sensors are very broad, and can be used in IoT, intelligent manufacturing, smart infrastructures, agriculture and transportation, automation, security, anti-intruders, head-counting, and games, to name a few, yet the devices are simple in structure and fabrication and can be manufactured by many types of insulator materials at very low cost. Figure 1. Schematic drawing and an equivalent circuit of the instantaneously self-powered wireless sensors with identity; it consists of a TENG, a micromechanical switch, a resonant circuit and a wireless transmission and reception device. The device consists of a triboelectric nanogenerator (TENG) which is also a sensor, a capacitor-inductor oscillating circuit in parallel with the TENG and a wireless transmitter. A micromechanical switch is integrated with the TENG which has a synchronized movement with the TENG, but with a reduced period for the TENG to release accumulated charges to boost the voltage and power outputs of the TENG up to 1300V and 800mW, and reduce the output impedance by several orders of magnitudes. These allow output effectively coupled to the oscillating circuit to generate a very strong damping resonant signal (up to VPP=600V) which contains sensing and device identity (resonant frequency) information. The oscillating signal is then coupled to the transmitter (red laser in this work, and could be changed to an RF transmitter) for long distance wireless communication. The scientists have demonstrated the capability of the self-powered sensor for wireless humidity and force (pressure) sensing with the identity attached for up to 5 meters, and the wireless transmission distance can be improved greatly by utilizing better optical alignment, lens, and blue lasers. These findings are described in the article entitled Triboelectric effect based instantaneous self-powered wireless sensing with self-determined identity, recently published in the journal Nano Energy. This work was conducted by Jinkai Chen (Hangzhou Dianzi University, Zhejiang University), Weipeng Xuan (Hangzhou Dianzi University), Pengfei Zhao (University of Bolton), Umar Farooq, Peng Ding, Hao Jin, Xiaozhi Wang, and Shurong Dong (Zhejiang University), Wuliang Yin (University of Manchester), Yongqing Fu (Northumbria University), and Jikui Luo (Hangzhou Dianzi University, University of Bolton). Prof. Jack Luo joined the University of Bolton in January 2007 as a professor. His current research interests include nanomaterials and nanodevices, physical and biochemical sensors, microactuators, microfluidics and lab-on-a-chip, flexible electronics and energy harvesting technologies. Jack Luo received his PhD degree from the University of Hokkaido, Eng. Faculty, Japan in 1989 on "Preparation and Electrical Characterization of InGaAs and InP Field Effect Transistor Structures". He worked as a process engineer (1990) at Hoxan Co. Sapporo, Japan, to develop high efficiency crystalline silicon solar cells. He then be a research associate (1990) and senior research (1993) fellow at Cardiff University, U.K, working on III-V compound semiconductor devices. During 1995 and 2002, he worked in industry as an Engineer, Senior Engineer and Manager at Newport Wafer Fab. Ltd, Philips Semicond. Co. and Cavendish Kinetics Ltd, respectively, developing CMOS and MEMS products and processes, gained substantial experiences in R&D, project and team management. In 2002, he re-joined academe, and was a Senior Research Associate in Engineering Department, Cambridge University with responsibility for MEMS activities. Lab-on-chip with integrated biosensors and microfluidics has received great attention owing to its potential in diagnosis of diseases, cancers and illnesses at early stage, enabling measures to be taken to cure or to prevent them. We have been developing biosensors, mostly based on acoustic wave, microfluidics technologies since 2005. We have developed surface acoustic wave (SAW) devices, and film bulk acoustic resonator (FBARs) based biosensors using piezoelectric (PE) thin film ZnO and AlN on silicon structures, and have demonstrated their suitability for detection of biomolecules and bioreaction such as bovine serum albumin (BSA), prostate antigens and antibody reaction and odorant biobinding reaction etc. Previous Post« Previous Will Increasing Demand For Cobalt Impact The Environment?